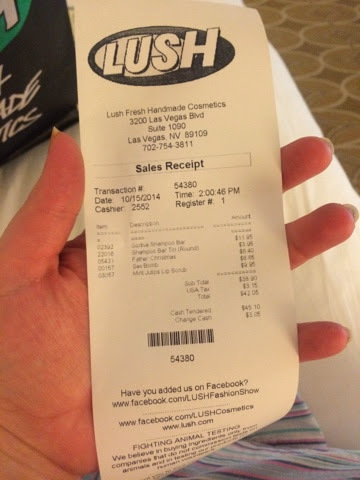 Actually Erica: Las Vegas Haul: Sephora, Lush, Forever 21, Macaroons and more! 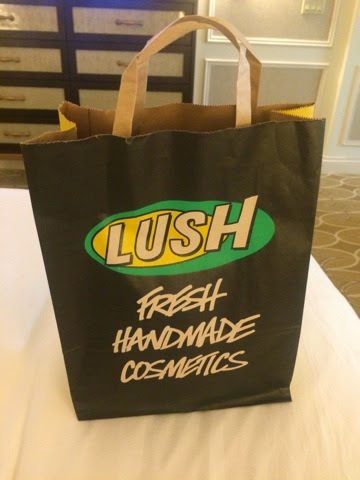 Las Vegas Haul: Sephora, Lush, Forever 21, Macaroons and more! 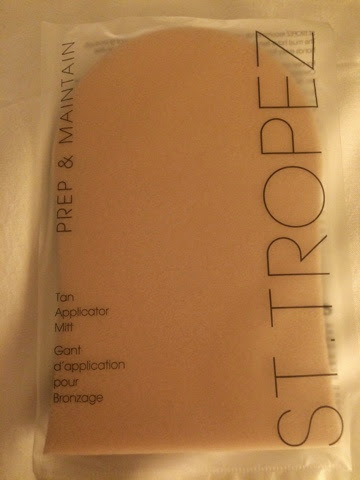 I actually forgot to bring a self tanner with me, so I picked up a bottle of St. Tropez, along with a tanning mitt. 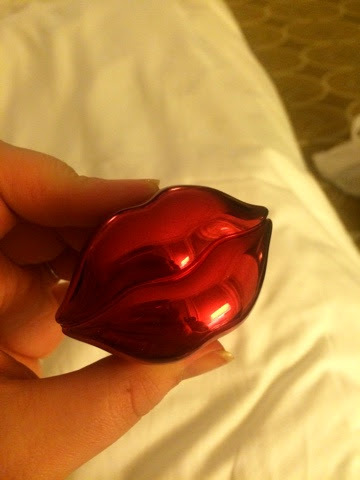 This lip balm feels SO good on your lips. I have used this nonstop since picking it up! 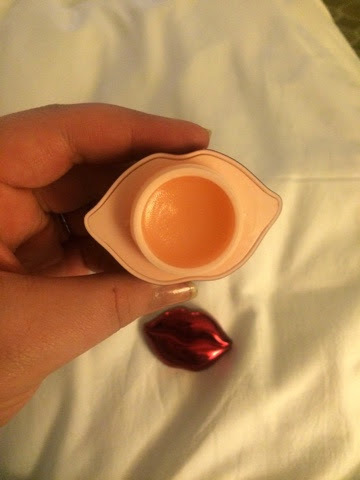 The packaging is adorable and the product itself smells great and feels just as nice. I don't ever travel with my Clarisonic, so after 3 or 4 days or so I feel like my skin just reallyyyyyyy needs a good scrubbing. 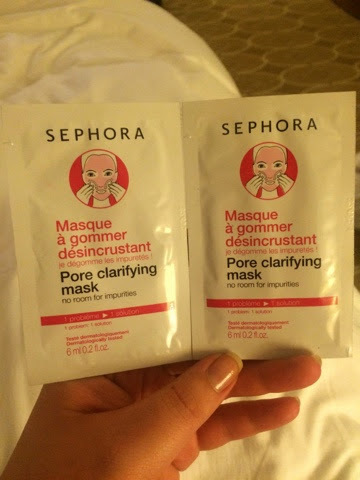 I keep various facial masks in my travel toiletry bag, but these were so cheap I thought I'd give them a try. 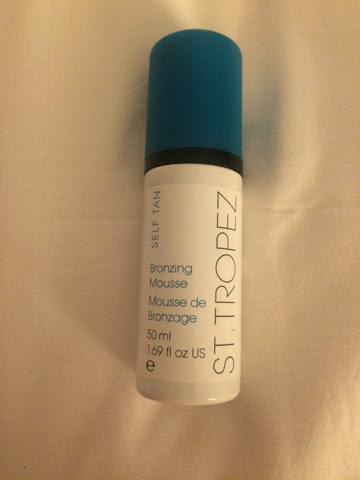 If you battle any sparseness in your brows or have areas where hair just doesn't grow, this product will be your new best friend. 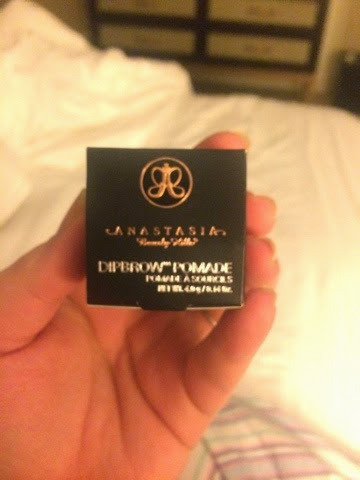 Gives you A+ brows with absolute perfection. LOVEEEE. 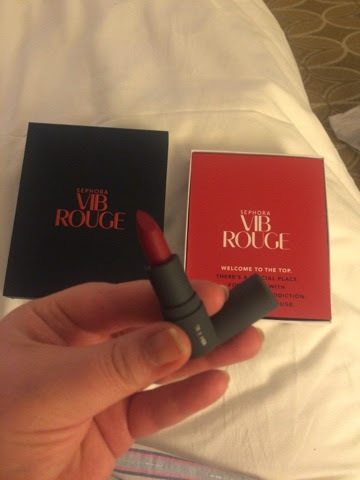 Whenever I became a VIB Rouge member I never had received my Bite Beauty VIB Rouge lipstick, so they sent me home with that as well! 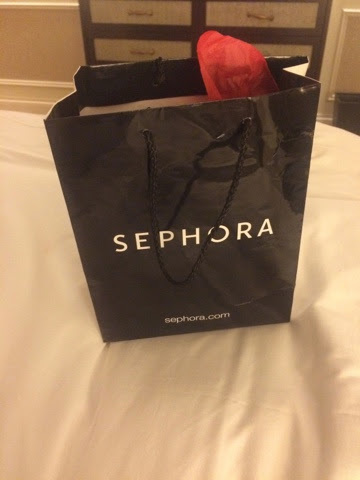 That's all I picked up from Sephora actually. I went in thinking I was going to nab all the new LE palettes that have been coming out for the holidays, but I left without a single one. While they were all beautiful and something I would like to have, none of them were something I felt I just HAD to have, so I decided to pass on them. Let me know if any of you have purchased any of these things and what you think. 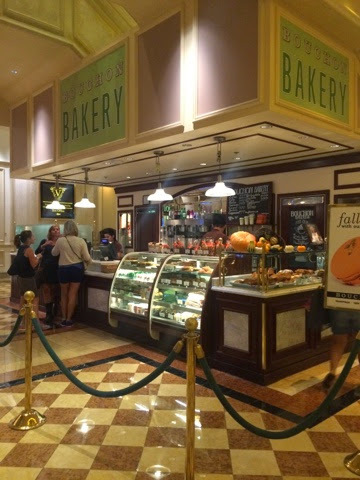 Next joint I frequently haunt in Vegas, Lush! 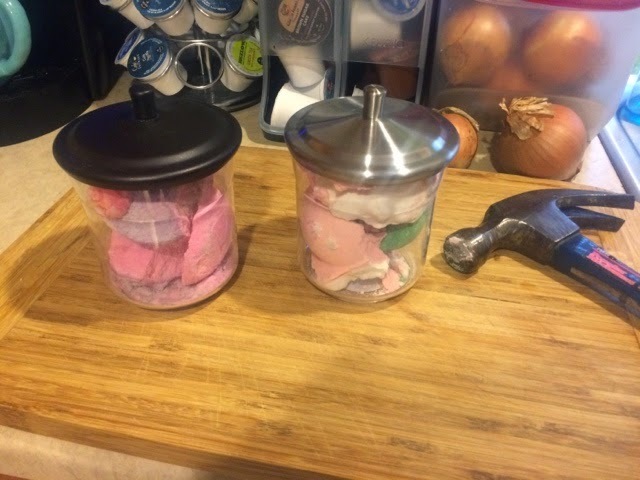 Always trying to perfect my travel toiletry bag and packing techniques, I decided to go ahead and pick up one of their solid shampoos with the tin container. They have numerous kinds of solid shampoos - one for a healthy scalp, a volumizing one, one for shine, etc. You're basically supposed to wet your hair and the shampoo, then rub the shampoo at least 3 times down the length of your hair - scalp to ends. Then lather and wash like usual. 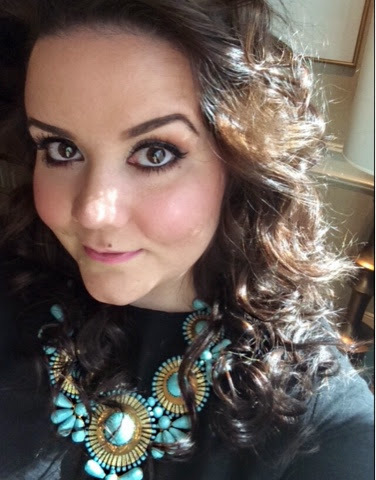 I picked up the solid shampoo in Godiva, which is a 2-in-1 jasmine shampoo with nut oils and shea butter to give you glossy, shiny, softened tresses (or so it claims). 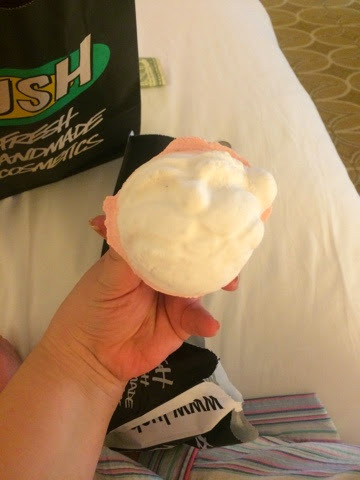 If you haven't ever seen these, Lush's solid shampoos work like a bar of soap for your hair. Simply lather it up and wash your hair like normal. You get like 50 or 75 washes out of these (or something crazy high in that range) for a pretty decent price. I love how compact it is and airplane friendly, etc. Can't wait to try it! 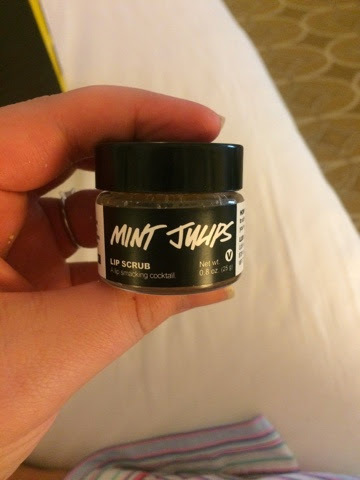 This has to be one of the most popular items at Lush, how could I possibly not pick one of these up? 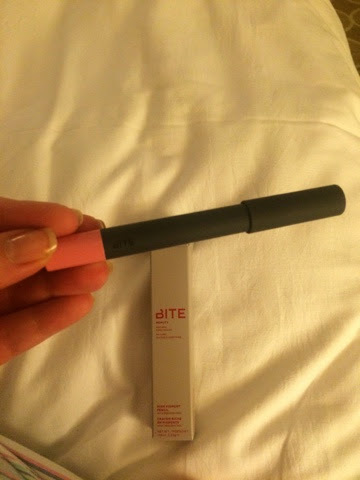 It's their DELICIOUS lip scrub that you rub on and lick off. 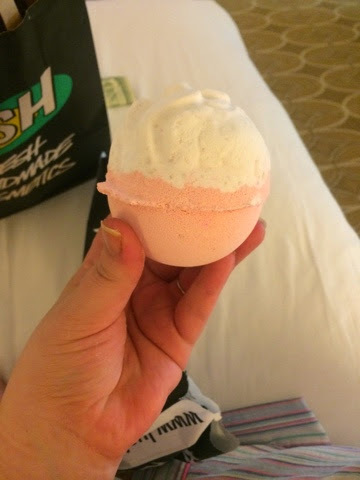 Feels great, tastes great, should be one of the first things you buy from Lush if you haven't already. This smells SO darn good words can't even begin to describe! 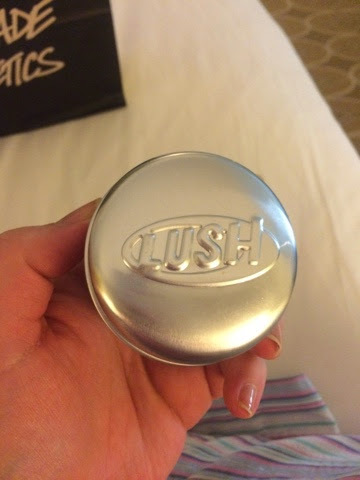 It's Lush's signature Snow Fairy scent, so if you are familiar with that then you know how this smells. 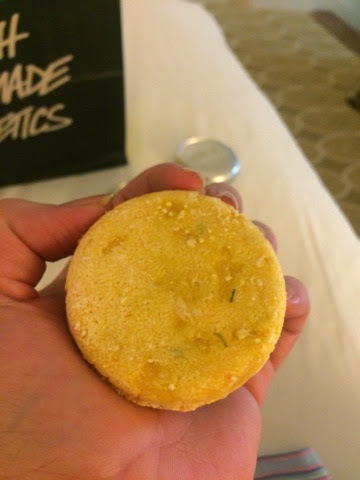 Love these guys - just drop them in your bathtub and you have an immediate spa-like experience right in your own home. 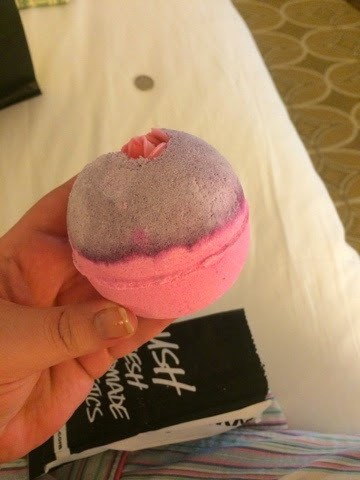 This is my favorite scent of all their bath bombs. Jasmine, Soya Milk, Clary Sage, Ylang ylang all designed to stimulate your senses and leave your skin like silk. 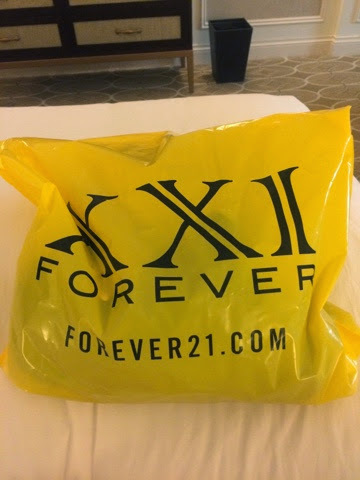 I ALWAYSSSSS go to the ginormous Forever 21 store at the Fashion Show Mall. 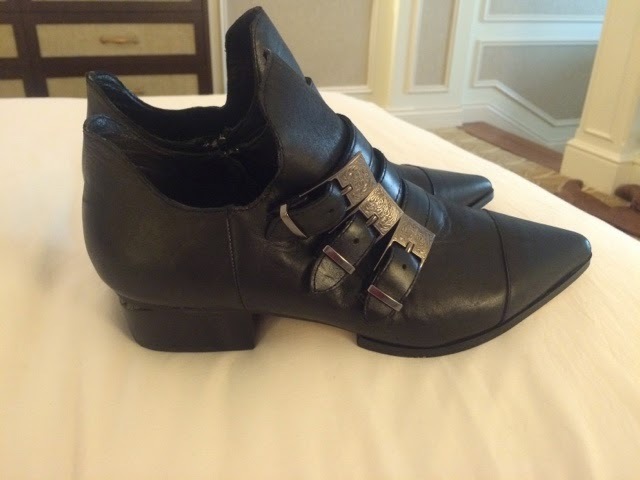 This time I went with one item in mind to try to pick up, these great real leather booties that had been on their website for like a minute before they sold out. 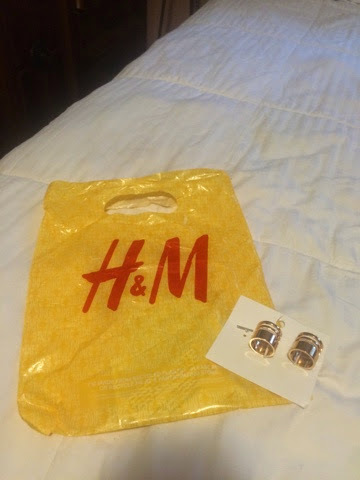 (At the time of writing this blogpost they were back on the F21 site in the Sale section. You can find them here). And guess what.....not only did I find them, these puppies were on clearance! I was able to snag these for $21! I always worry about boots and booties fitting properly where I have sky-high arches, these fit perfectly! 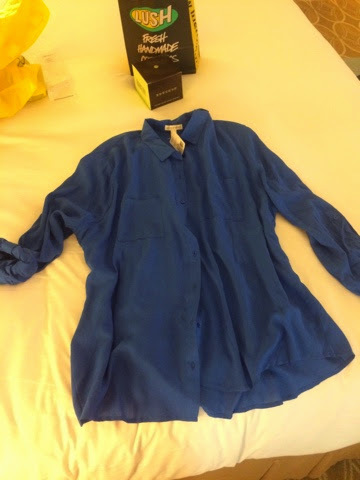 Even though it's Fall it's still hot in the desert, so I picked up this cobalt blue flowy top in the clearance section. 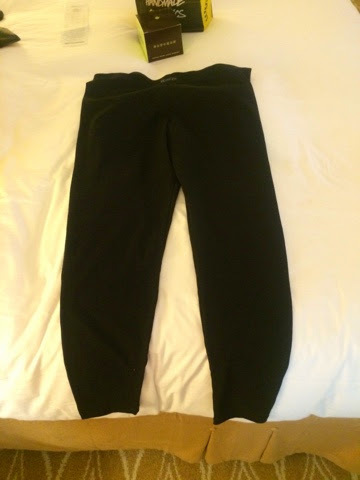 I wore this while in Vegas and it was great - really loose and thin, I was so comfortable in this as I could barely even feel it on. And the last thing I picked up from F21was a pair of basic black leggings. I actually had forgotten to pack any, lol. These were in the clearance section for around $5 and they worked just fine. 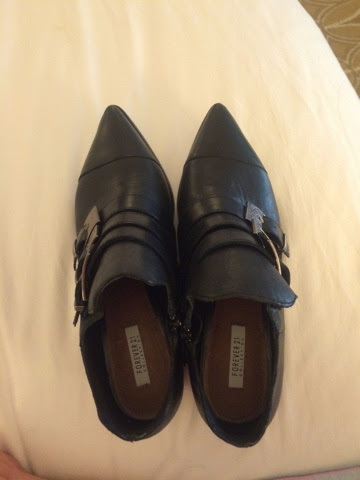 I actually paired them with my flowy cobalt top and leather booties and it altogether made for a really comfortable outfit. 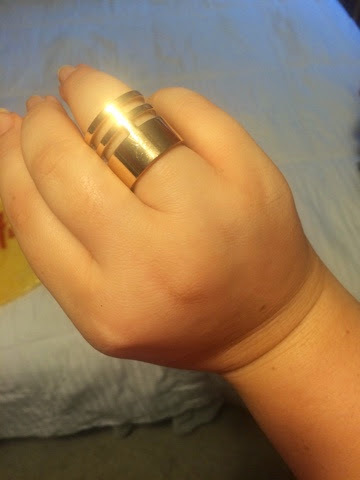 ...or you can turn it around and wear it this way. 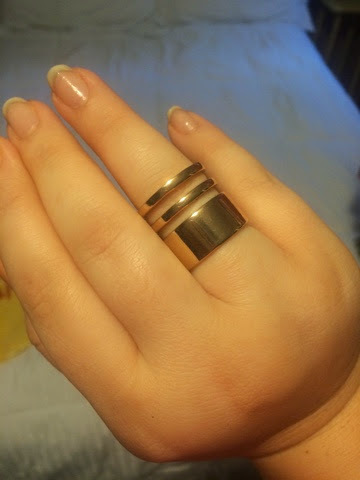 Super cheap and cute, and even if it doesn't last that long I've got 3 of them so they should last me quite a while. 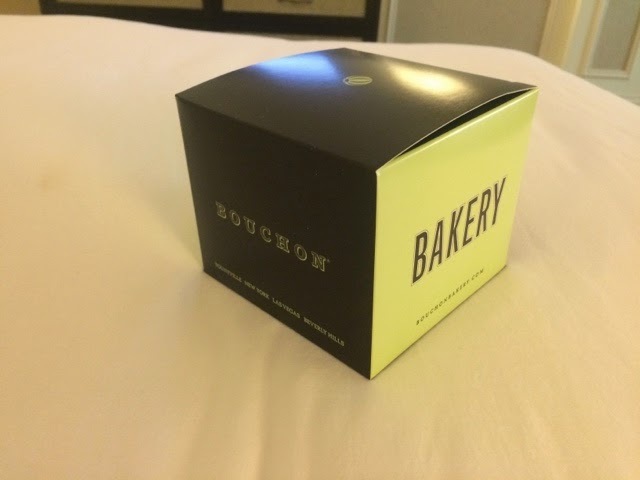 If you are ever in Vegas just take my advice and go and pick you up some of these. (You can thank me later). 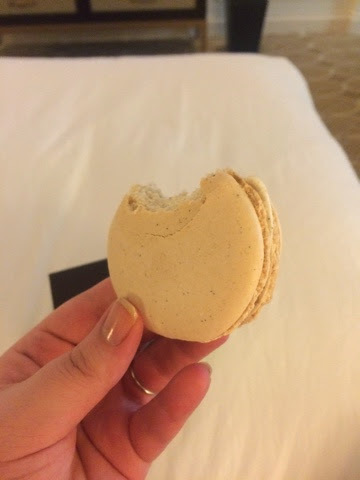 Big, buttery sweet, super fresh macaroons that melt in your mouth. My favorite flavors are vanilla and pistachio. 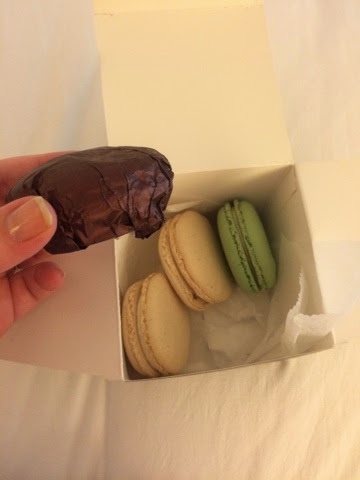 (The one wrapped in brown tissue is a chocolate covered salted caramel one that I picked up for David). SO YUMMY! 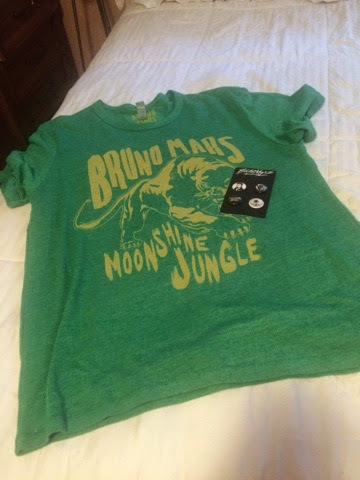 And then other than some concert t's and memorabilia and some other souvenirs and odds and ends, that's pretty much it! Thank you for taking the time to stop by today! Hope you enjoyed and have a great week everybody! Muuuaaahhhh!